Africa Sunrise - Elephants, Savannahs, Lions, Safari's, Leapords, Rhinos, Cape Buffalo, Oh My! 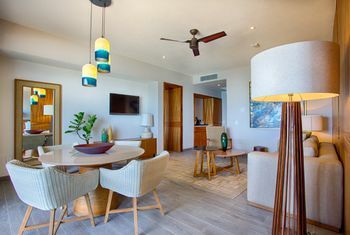 Marival Armony in Punta de Mita has 268 rooms and suites of 1, 2 and 3 bedrooms with balconies or terraces and panoramic views... each one with the touch of elegance and distinction that Marival® Resorts brings to all that it does. A perfect combination between nature and comfort like you never imagined before! We redefined the All Inclusive concept integrating a resort experience with the maximum advantage of the natural beauty of the surroundings. Live an experience that will renew your energy and that will take you to outstanding relaxation level. Now harmony is defined in a totally new concept. 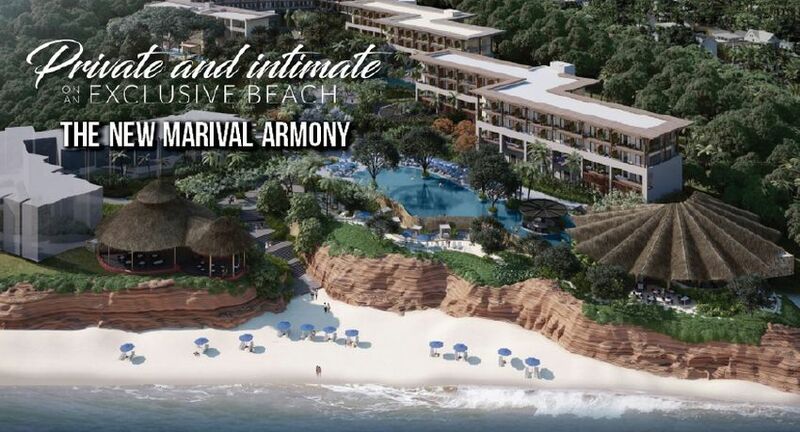 The perfect balance between luxury and nature comes to Marival® Armony, our new resort that fuses the incomparable north side beaches of the bay -surrounded by the exuberant Sierra Madre- with the elegance of a first class resort. A harmonious conjunction between our amenities and the kindness of nature make Marival® Armony the perfect place to get away with the feeling of having been transported to a magical place. 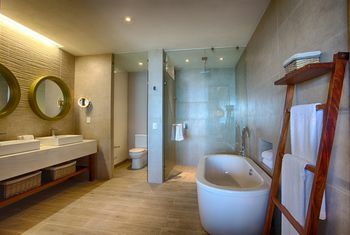 We have comfortable rooms and suites, three pools (one of them infinity), and three Jacuzzis, specialty restaurants, beautiful gardens, privileged views of the mountain and the bay, unique spa experiences and, of course, the personal and close service that differentiate us. A perfect combination between nature and comfort like you never imagined before! We redefined the All Inclusive concept integrating a resort experience with the maximum advantage of the natural beauty of the surroundings. Live an experience that will renew your energy and that will take you to outstanding relaxation levels. 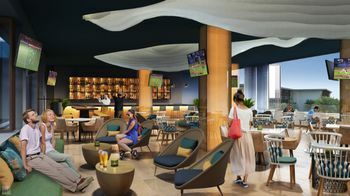 Inside your rooms you will find bathrobes & slippers, deluxe amenities, luxury linens & Pillow menu, flat screen TV’s, port replicator to adapt laptop to the screen, WiFi, fridge, safe-deposit box, hair dryer, iron & ironing board. Additionally, the suites offer living room, dining room, sofa bed, and microwave. The gestures and services of our team will make this experience something like no other. An example of this are the “good night” touches (turn-down service), your fridge daily stocked with water, soft drinks and beer and a courtesy room for early arrivals and late departures (subject to availability). 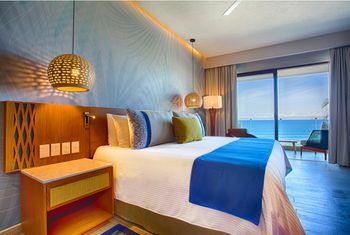 For its tranquility, comfort and excellence in service, Marival® Armony is the place you will always want to return to. 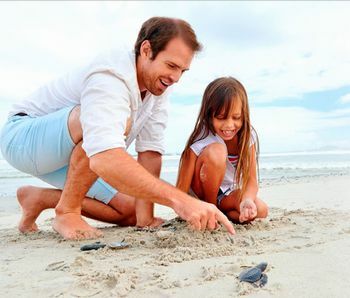 Of course, ideal vacations should contain high doses of fun for the whole family. 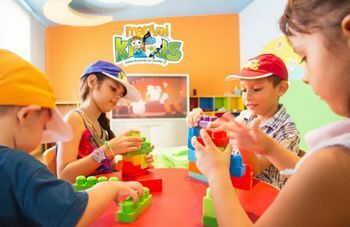 For this reason, Marival® Armony has Marival® Kids, with games and activities for children from 4 to 12 years to have non-stop entertainment, and Teens Club, where teenagers will find a pool table, ping pong and video games. The activities become adventures here. Because of its location between the mountains and the sea, it is the ideal place for any type of activity, whether aquatic or on land. Our specialized team of activities will make you spend moments full of emotion. 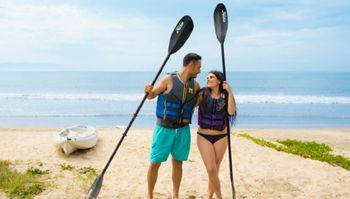 As might be expected, our pools and 281 meters of beachfront allow the development of water activities, beach volleyball and fun in the waves, taking advantage of our non-motorized activities such as kayaks and boogie boards. In addition, if you do not want to interrupt your training during the holidays, the facilities also have a gym equipped with everything you need to stay in shape. 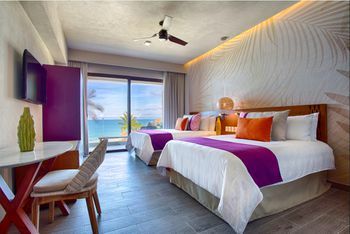 Located on the north side of the paradisiacal beach Destiladeras in Riviera Nayarit, time seems to stand still at Marival® Armony. A hiding place full of peace and tranquility, ideal for those who want to get away from the frenzy of everyday life for a few days. Due to that, it is also the perfect place to enjoy the services that our resort offers to reach the maximum point of relaxation. 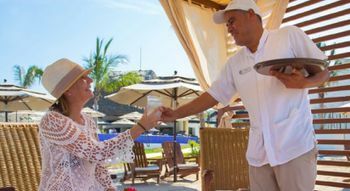 Our beach and pool concierges will provide an extraordinary 4 diamond service with touches ranging from bringing your food and drinks to making sure that you have dry towels and clean sunglasses. You will not have to move a finger! Our team constantly walk around the pool area offering ice cream, ice pops, fruit, and other delicious snacks. Take a nap or escape a few hours with your partner. Our professional Marival® Kids team will take care of your children whenever you need your own time. Our Kids Club has everything you need to have fun and at night you can hire our babysitting service if required (with extra charge). In addition to being carefully selected to do what they love, all our employees are highly trained to provide a personalized service, focused on your particular needs, so you can ask any of our concierges even for what you think is out of reach. A gourmet experience for all the senses. You will find it hard to believe that the delights at your table are part of an All Inclusive. With a vast selection of dishes for all tastes accompanied with exceptional views, Marival® Armony has 4 restaurants: · Specialties: With many options for different tastes and food needs –vegetarians, gluten-free–, this restaurant offers a menu of specialties with breakfast service, international lunch menu and dinner with seafood cuisine and fine cuts. 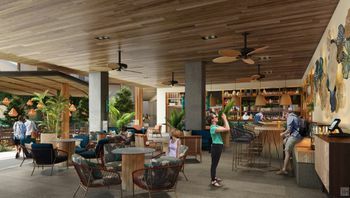 In addition to having a closed and conditioned area, it also has a newfangled pool area. · Palapa Buffet: A haute restaurant located on the cliff, facing the sea, with spectacular views of our fine sand beach and blue sea. In it you will be delighted with a personalized service and exotic flavors from different cuisines around the world. It offers breakfast service, lunch, and themed dinners, with buffet service. · Fine Dining & Sky Lounge: Located at the top of the resort with an unbeatable view, it offers dinners with an exquisite Tapas menu of 3 continents –Asia, Europe and America– and signature cuisine dinner service (upon reservation with additional charge). It is also the ideal place to have a drink watching the sunset. 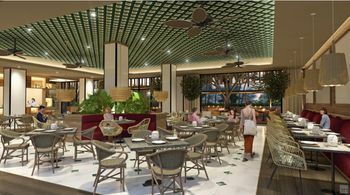 · A restaurant near the lobby with light breakfast service, snacks in the afternoon, and tapas for dinner. · Room Service*: Enjoy delicious selection of our dishes from the comfort of your room. ($) Because we know that the best way to enjoy the sun is with a refreshing drink in hand, it also has 4 bars: one in the pool area with service for all guests and another for adults only, the Sky Lounge where you can also watch sports, and a Coffee, Beer & Wine Bar, where you will find a fine selection of wines, beers, and coffee. Click Here to See the Next Exciting Testimonial!